ARistory™ is an AR-enabled app that presents augmented reality images when it detects a certain physical building (as Marker) and physical location, with its location-aware capability, of the viewer/user running the app in a Tablet or a Smartphone. 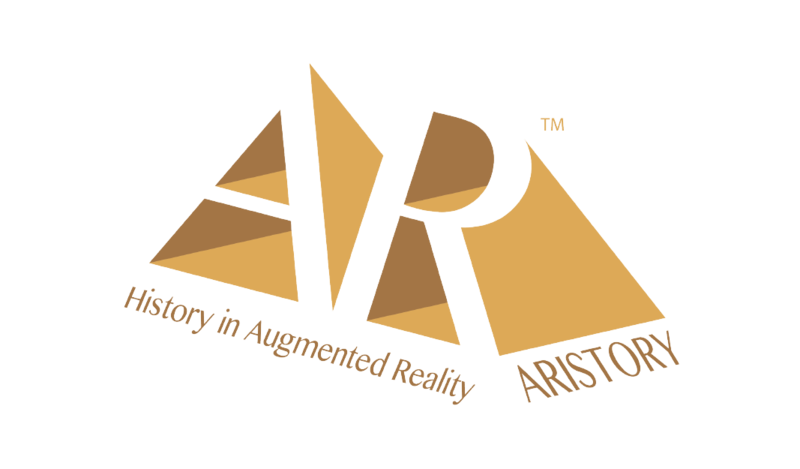 ARistory™ is an AR-enabled app that presents augmented reality images when it detects a certain physical building (as Marker) and physical location, with its location-aware capability, of the viewer/user running the app in a Tablet or a Smartphone. ARistory™ can also be customs-build for use in presenting interesting images of history, events and story-telling etc. relative to a certain exhibit in a museum or an art gallery. 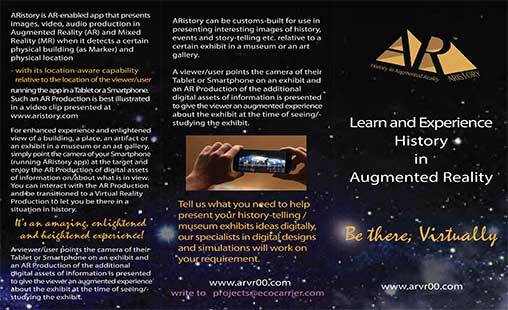 A viewer/user points the camera of their Tablet or Smartphone on an exhibit and an AR Production of the additional digital assets of information is presented to give the viewer an augmented experience about the exhibit at the time of seeing/studying the exhibit. 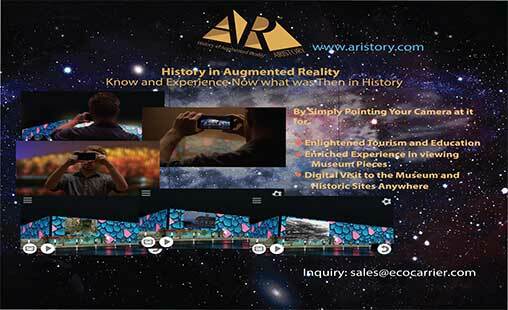 For further details, please write to us at info@aristory.com.